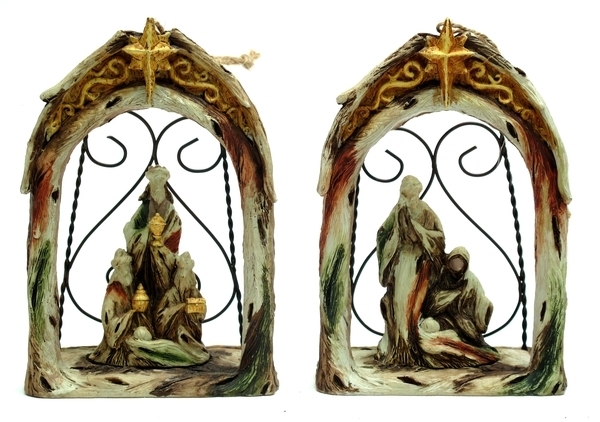 Nativity Ornament Measures 5". 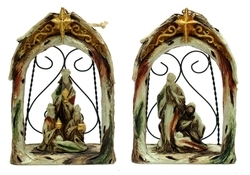 Set of 2- Very nice set of ornaments with great details! Resin and metal.